Finally - enjoy the look of a European oak finished floor without all the mess and maintenance. This floor features a revolutionary finish that provides the durability of aluminum oxide but offers an ultra low shine/ low gloss visual with a luxurious feel. We reinforce the Old World authenticity by including all of Mother NatureРІР‚в„ўs rustic beauty marks such as knots, dark mineral streaks, pin holes, etc. and strong color variations. This floor will complement both contemporary and traditional interiors that our popular in todayРІР‚в„ўs homes. Our flooring is proudly crafted in the USA. from wood grown and responsibly harvested in the USA. Expertise and experience assure a beautiful, high quality floor. 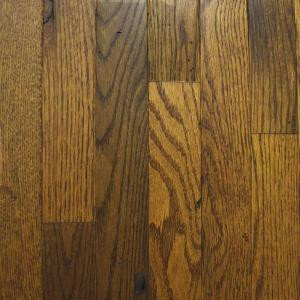 Our company has been manufacturing wood floors to exacting standards in Johnson City, Tennessee for over 110 years. 20 sq. ft. per case. Case weight: 60 lb.